We are a statewide multidisciplinary group of individuals, businesses, and organizations that share the same mission and vision to improve public health through education, promotion, and protection of breastfeeding. As a member of the Arizona Breastfeeding Coalition, you will be making an important contribution to advancing breastfeeding in Arizona. You can join as an individual, or as a representative of your organization. Membership runs from Feb 1 - Jan 30. You don't need to be a member to make a donation. 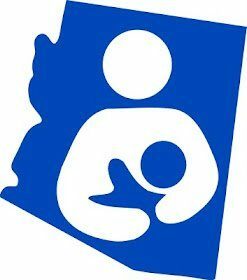 The Arizona Breastfeeding Coalition is a 501-3c non-profit organization managed by volunteers elected by the membership. All donations go to pay expenses of the website, events, and outreach materials. -Garner new members to take action. -Involve and bond with other coalitions. Our mission is to work collaboratively within the community to increase rates of breastfeeding initiation and duration to improve the health of Arizona's families. 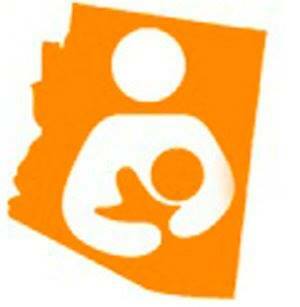 Arizona Breastfeeding Coalition is seeking volunteers to help rebuild the coalition. We are looking for community members who are passionate about breastfeeding and believe and support our mission. We are looking for people of all talents. Contact us if you are interested in volunteering. Not sure how your insurance provider should be supporting a breastfeeding family? click here for information. Healthcare providers find tools to help your clients. check our resource page for providers. Need support with breastfeeding? check our resource page for families. Get notifications of upcoming meetings, events, and breastfeeding news in your mailbox. Your email address will not be shared with anyone.